Original Article: Can Drake Berehowsky’s program change how we evaluate players? Advanced statistics have permeated hockey so much that they now reside on NHL.com in their own category. We don’t need to repeat how many teams have hired experts. But that doesn’t mean the numbers game won’t evolve again. As Toronto Maple Leafs assistant GM Kyle Dubas once told me, hockey’s analytics are 20 years behind baseball’s. Sooner or later, someone will invent a more accurate way to track statistics like possession. Is Drake Berehowsky that someone? It’s been a long time since we saw Berehowsky, 43, manning a blueline. He last suited up in the NHL for the Leafs, the team that took him 10th overall in 1990, late in the 2003-04 season. He bounced around the Swedish League, AHL and German League after that and retired in 2006. But Berehowsky stayed busy. He’s spent the better part of the past decade behind various benches, from OHL Barrie to AHL Peoria to ECHL Orlando and WHL Lethbridge, where he was head coach the past two seasons. 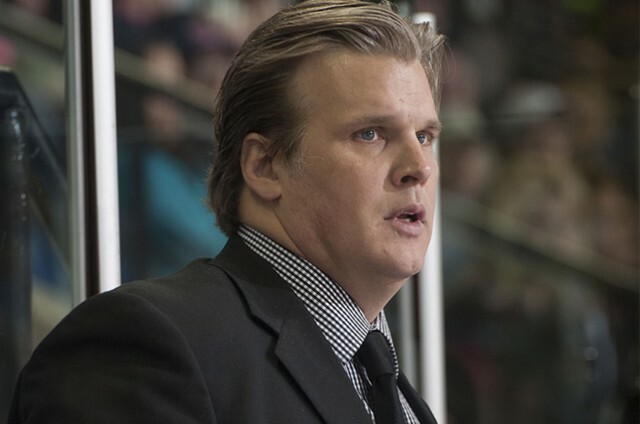 Now he’s back in the OHL as an associate coach with the Sudbury Wolves. Along the way, through the ups and downs helming all those different teams, ideas danced around in his head. Was there a better, faster, more accurate way to evaluate his players? Could he pinpoint what data would help him and others make wiser decisions, be they in-game line combinations or even just deciding who should and shouldn’t make the team? Drake and his sister, Danielle, began work on an idea called StatsTrack, an application that tracks player and team events on the ice in real time. Drake provided the ideas and concepts behind what the program would track, Danielle ran the business side of things, and they worked with a team of digital technology specialists to develop the concept. The NHL Alumni Association also came on board as a partner. They built StatsTrack as a tablet program, purchasable at the iPad App Store. It collects data by breaking the rink into many different sections. The Berehowskys’ company sends technicians out to any coach or team that purchases the StatsTrack license and teaches them how to use the tablet to record data. The imaging process happens via swipes on the iPad and records the data instantaneously. When Berehowsky demoed the product at the most recent OHL Cup, coaches were jogging over to grab their iPads between periods, identify trends and make adjustments. The goal was to take numerous team and player evaluation criteria and track them more specifically, more accurately, in real time. Instead of defining puck possession via shot attempts, as is done right now, StatsTrack actually tracks how long certain players or lines have the puck. That’s true puck possession. “I believe just because a player’s shooting pucks on a net, that’s not telling the whole story,” Berehowsky said. “We have zone time in ours. We calculate how many shots the players have taken, but also how long they’ve had puck possession. Just think, if your fourth line isn’t getting shots on net, it doesn’t mean they’re not doing their job. So to Berehowsky, controlling the puck and suppressing shots mattered as much as generating the attempts, and StatsTrack can depict how well teams and players do it. It also tracks players’ individual shooting profiles, from where they like to shoot from, to where they score most often, and the reverse profile for goaltenders. StatsTrack can examine every faceoff circle and identify which players have more success where. It can tell a team if its centers are winning the faceoffs but losing possession because the wingers don’t act quickly enough off the draw. It can identify differences in team trends between Fridays and Sundays, between the first and second games of back-to-backs or between day games and night games. It can assess how well players follow their defensive positioning assignments. Several teams have experimented with StatsTrack already, including the Canadian women’s national team, the OHL’s Peterborough Petes and the German League’s Eisbaren Berlin. Berehowsky hasn’t finished adding features, either. He likens the process to drills, in that coaches share, trade and steal them. Every time StatsTrack gains a client, Berehowsky takes suggestions on what other data and stats that team might want to see in the program. In his mind, there’s no right or wrong way to use the tool, either. It will be interesting in the next few years to see just how many teams start using StatsTrack to identify exactly what their identities are – and how best to maximize their potential.